New York State is a national and global hub for businesses, but our unparalleled quality of life is a key reason companies (and their employees) are happy to be here. New York is home to vibrant communities of all sizes, great places where you can put down roots -- and then set out to explore. Wherever you live in New York State, you’ll have access to educational opportunity, abundant art and culture, and outdoor recreation in some of the world’s most beautiful natural settings. And with the June 2018 announcement of an additional $150 billion investment building on an existing $100 billion investment in infrastructure, New York State is ensuring that all of those quality of life essentials are within reach, whether you’re driving, flying or taking public transportation to find whatever it is you’re looking for. If you have a reason to work here, you’ll find many more reasons to live, play and stay here. We’ve got it all, right here, in New York State. There’s a new energy in New York State that’s making it an even better place than ever to call home. Taxes are at their lowest in decades – for the middle class, at their lowest in 70 years and for manufacturers, at their lowest since 1917 – and property taxes have been capped at two percent. The state has also marked a new record high in the numbers of private sector jobs. Add to that the state’s investment in revitalizing urban centers, in infrastructure and in innovation. And it all supports a vibrant mix of communities across the state where families and businesses can grow and thrive. The Upstate renaissance, in cities from Buffalo to Binghamton, offers a snapshot of new New York State opportunities. Millennials are staying in New York State after graduation, because they’re finding communities that can offer both opportunity and affordability, in places where art and the outdoors are also easily accessible. Thanks to New York State’s creative business incentives, smart, innovative businesses are growing here, starting here and moving here. And New York offers the talent, resources and support for both newcomers and longtime residents to succeed. With a breadth of choices in housing, cultural offerings and top-tier schools —plus an entrepreneurial ecosystem—there are many places and spaces to find your fit and your future in New York State. From kindergarten to graduate school, New York State is home to academic opportunity. And now, New York State is now leading the country with the nation’s first accessible college program offering free tuition to middle-class students and families. Launched in the fall of 2017, the Excelsior Scholarship allows families and individuals making up to $125,000 a year (up to $110,000 in the 2018-19 academic year; reaching $125,000 in 2019-20) to qualify for free tuition at New York State’s CUNY and SUNY colleges. The 64-campus State University of New York is the largest comprehensive public university system in the nation, and the City University of New York, New York City’s public university system, includes senior colleges, community colleges and graduate institutions. 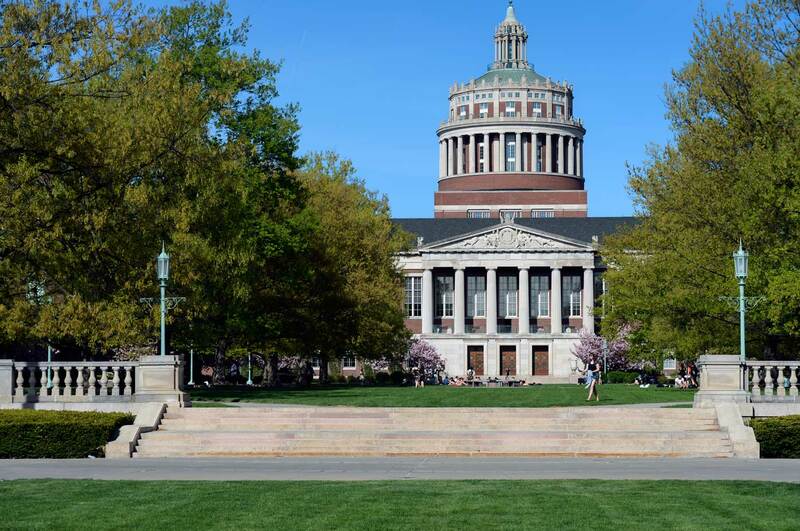 The state’s higher-ed offerings also include hundreds of private colleges and universities; New York is the only state with more than one Ivy League university (Cornell University and Columbia University). The state’s overall educational engagement and attainment is significant: New York State is #2 in the country for generating both Mathematics and Physical Sciences degrees and #3 in the country for college enrollment in a degree-granting institution. New York’s also got a solid STEM base for its growing innovation economy: the state is #1 in the Northeast for total number of STEM graduates and the country’s top producer of finalists in the Regeneron (formerly Intel/Westinghouse) Science Talent Search. And New York’s colleges and universities are active in industry-university partnerships and programs that are incubating entrepreneurial ideas and 21st century businesses. Why New York State? There’s a lot to learn here. New York State has been inspiring artists, performers and trailblazers for centuries – and that inspiration is evident in the state’s rich cultural and historic landscape. New York is the birthplace of some of the world’s best-known performers, and home to those who are still waiting in the wings. In concert halls, at venues big and small and on stages indoor and out, New York State offers a wealth of opportunities for experiencing the arts first-hand. 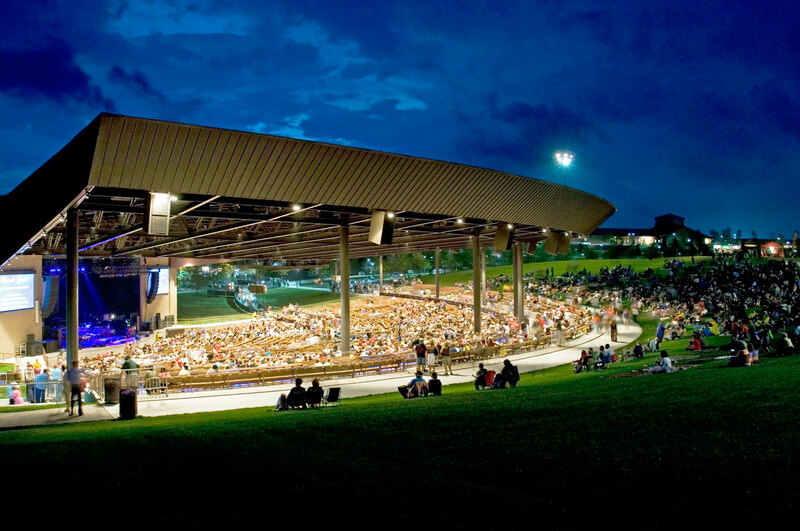 Well beyond the lights of Broadway, New York State puts on a great show, nurturing talent and showcasing the performing arts in cities and communities of all sizes, in settings from restored century-old theaters to state-of-the-art arenas. Creativity is in New York’s DNA. Writers and painters have long drawn inspiration from the state’s landscapes, whether Hudson Valley vistas, Brooklyn’s waterfront or Upstate peaks. And fledgling artists or authors can fuel their dreams through writers’ retreats and summer series, in formal classes or in improv, all through offerings as plentiful as the ideas they nurture. New York also has been home to presidents and pioneers, inspiring the change-makers and innovators who have been at the forefront of social movements and breakthrough discoveries and developments—including Frederick Douglass, the prominent African-American abolitionist, human rights activist and onetime Rochester resident, whose birth bicentennial is being observed throughout 2018. The leaders of the women’s suffrage movement were New Yorkers, and 2017 marked a yearlong observance of the 100th anniversary of women winning the right to vote. The Erie Canal, a 363-mile engineering marvel that transformed American trade, launched a five-year 200th birthday celebration in 2017, that spans the start-to-finish of its construction. Whether creating, entertaining or motivating, New York State is a place where art, culture and ideas are nourished – and flourish. New York State is one big, 54,556-square-mile, staycation. There’s no need to get away; the getaways are all here. And they’re every kind of escape: outdoor adventures from skiing to sailing to swimming in a variety of natural settings that soothe the soul or boost the metabolism; culinary tours paired with New York-grown craft beverages; historic homes that tell the New York story. No passport required. New York State’s parks are places of wonder. There are 180 in all, with landscapes that are literally all over the map: gorges, beaches, rapids and rivers. In 2017, a record-breaking estimated 71.5 million people visited the state’s parks. 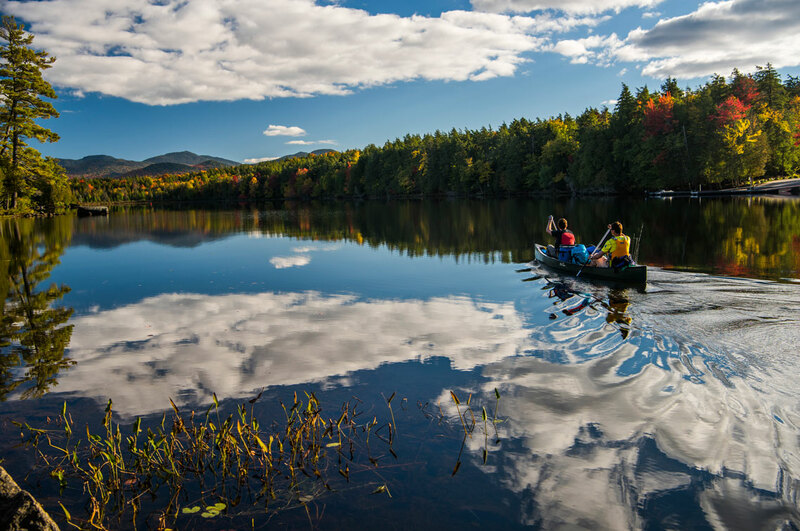 The Adirondack Park is the largest publicly protected area in the contiguous United States—larger than Yellowstone, the Everglades, Glacier and Grand Canyon National Park combined. Beyond the campgrounds, pools and trails, there are opportunities to rise above it all, and take in the views, on a parasail or hot air balloon ride. Bicyclists, horseback riders and canoeists can find a range of routes to pedal, gallop and paddle through the New York outdoors. New York caters to visitors with all kinds of palates, especially those that savor a craft beverage – the industry’s booming in New York State. Follow craft beverage brewery trails or vineyards that are producing award-winning wines, from the Finger Lakes to Long Island’s North Fork. Washington slept here -- and fought here. New York is revolutionary; and its role in world-altering events, from the American Revolution to Civil Rights and Women’s Rights movements, is marked by the state’s Path Through History, a statewide highlights of history tour. No matter where you are in NYS, history happened here. Visit I LOVE NY to explore all there is to see and do in New York State. New York State is making an historic investment in infrastructure, dedicated to keeping New Yorkers moving, in ways that keep businesses going and growing. There are many ways to get around in New York State – whether by car, train, water or air -- and we’re improving on them all. New York State’s road and highway system encompasses more than 113,000 highway miles. Major interstates such as I-90 and I-86 connect the state’s major cities and connect New York to other Northeastern states. 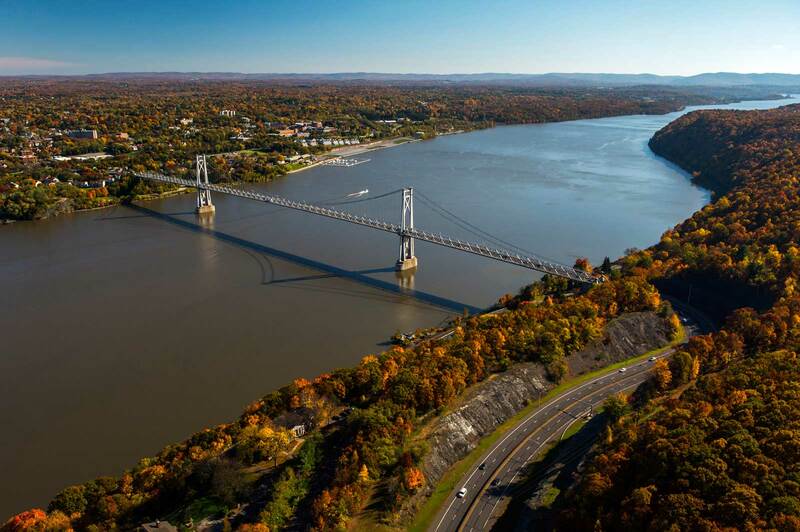 In addition to commitments to upgrading Upstate roads and bridges, New Yorkers have a new Tappan Zee Bridge – the new New York Bridge – across the Hudson River. Rail travelers in New York have plenty of options for taking the train, whether to commute or to take a vacation break – to the tip of Long Island and all the way up to the Canadian border and beyond. Manhattan’s 113-year-old subway system has a new star, the Second Avenue Subway, which features vibrant station artwork. A reimagined Pennsylvania Station, the Pennsylvania Station-Farley Complex, will improve the commutes and travel experiences of passengers taking the subway, the Long Island Railroad or Amtrak in and out of Manhattan. 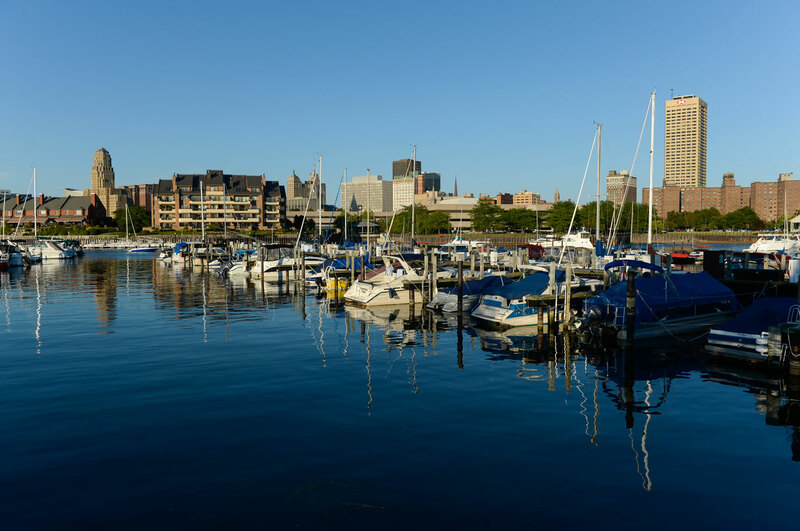 New York’s waterways also help with commuting, for work or for play, whether taking a ferry across New York Harbor, across Lake Champlain to Vermont, or on the St. Lawrence River around the Thousand Islands along the state’s northern border. Opportunities for airline travel also are soaring, with improvements being made in the state’s airports – whether reimagining LaGuardia or JFK International Airport or crucial regional hubs in Upstate cities including Corning, Rochester, Syracuse and Plattsburgh. An additional $150 billion infrastructure investment was announced in June 2018, with $66 billion supporting transportation projects over the next five years.